Hello everyone! I'm up on the Twine It Up! with Trendy Twine Blog today. 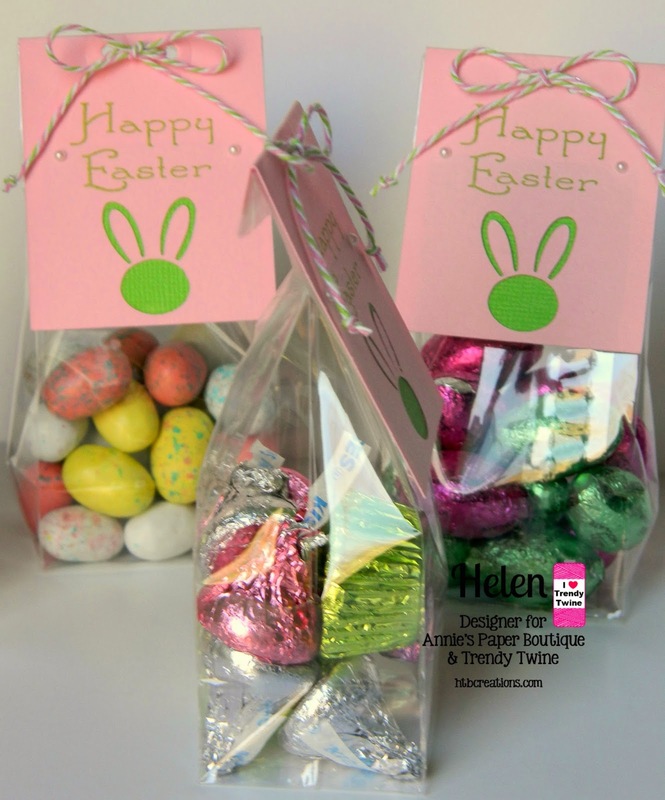 This month, we are showcasing Watermelon Taffy Trendy Twine along with the Small Candy Sacks. 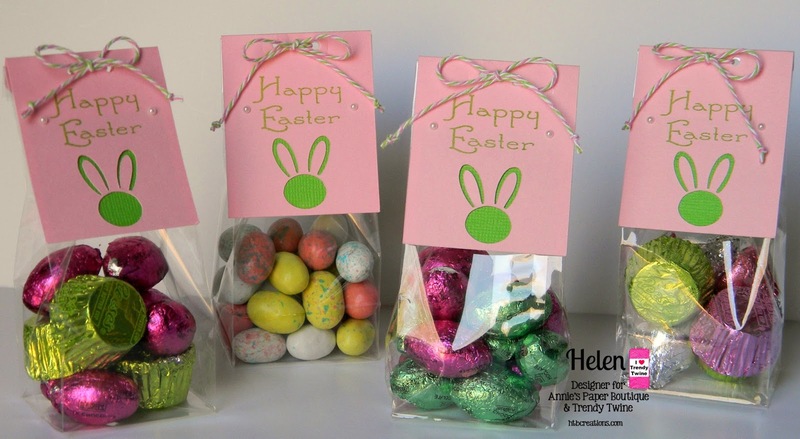 I went a little crazy in the Easter candy isle--there was so much that I liked in that isle and it somehow ended up in my cart :) The mini malted eggs are one of my favorites so I had to used them in one of the bags. I used a cut from the Cricut New Arrival cartridge for my tag. The green paper is just a small piece I added to bring in some green to go along with the twine. 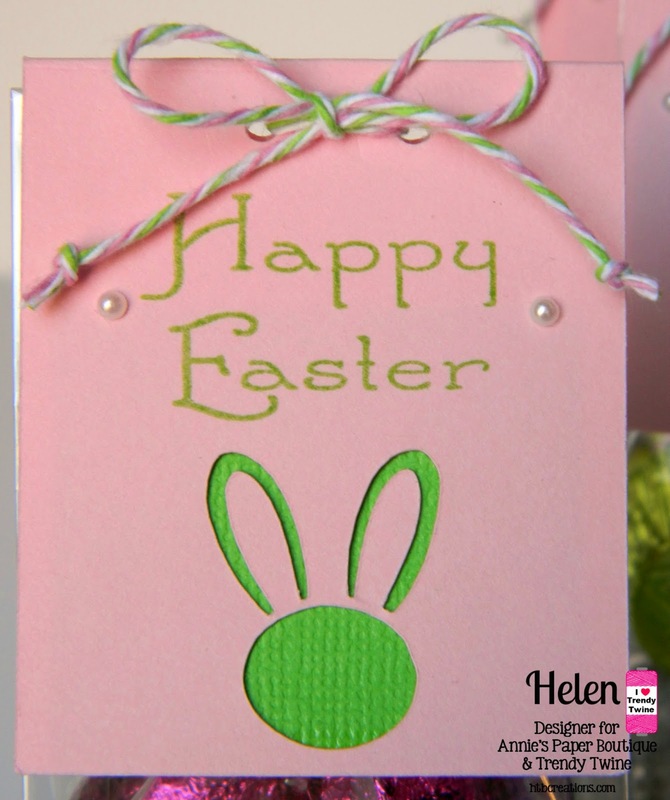 I stamped the sentiment in some green ink above the bunny cut out. 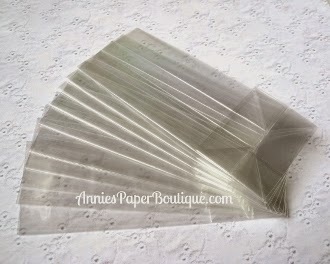 The cut was actually just a flat card that I scored and folded over the back. 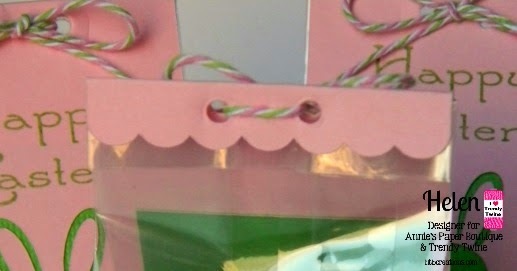 Then I punched small holes for my Watermelon Trendy Twine to go through to hold the bag closed with a bow in the front. To finish off the tag, I added two small self stick pearls. Here is a shot of the side of the bag. I love the flat bottom which helps hold a lot of candy in there. 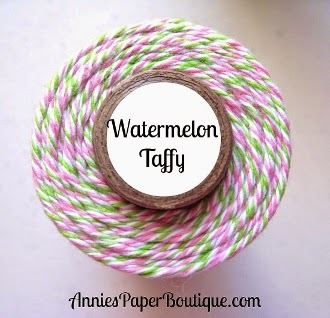 We have lots of fun projects for this month using the Watermelon Trendy Twine and the Small Candy Sacks--both on special this month at Annie's Paper Boutique. I hope you visit the Twine It Up! blog today and all month long!! Super ADORABLE!!!! what a fun Easter treat!!!! So cute Helen! I love seeing projects using older cricut cartridges. I never knew this was even on the the cartridge! Awesome!! Super fun project, love the bunny cut out with those pearls! Those little pearls are adorable as well! Have a great day! This are so sweet and I like that they would be so easy to put several together. 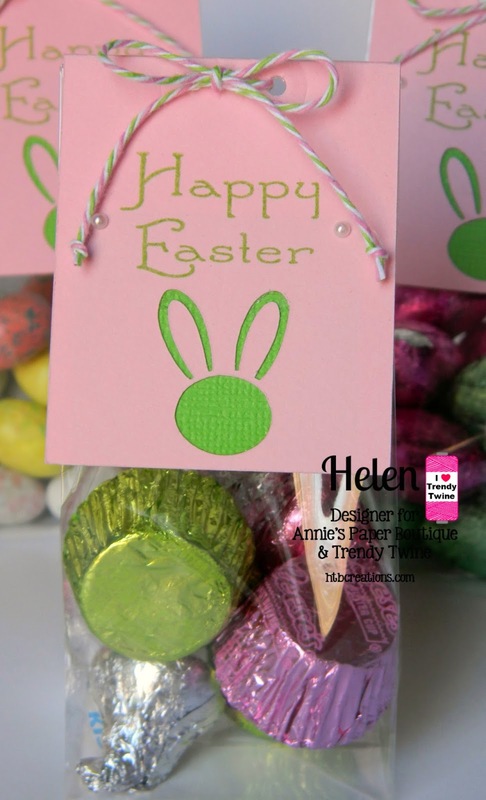 Your treat toppers are adorable right down to the scallop edge!